I wish to thank Buzz Splittgerber for sharing the sad news about Capt Crosson’s passing. Please see below within this notice for details and for passing on condolences. Joe E Crosson Jr. passed peacefully on September 15th 2018 at his home in Ketchum Idaho after watching his favorite University of Washington Huskies win their football game. He was born on July 16, 1931 in Fairbanks Alaska to noted Alaskan bush pilot Joe Crosson Sr and Lillian Osborn Crosson. The family moved from Fairbanks to Seattle in 1941. There Joe graduated from Roosevelt High School in 1949 and then attended the University of Washington where he was a member of the Phi Delta Theta fraternity. After graduating he entered the Army to complete his ROTC commitment. In 1954 he completed his flight training requirements and became a flight instructor at Ft. Rucker Alabama, and remained a flight instructor for the duration of his tour. Joe was hired as a commercial airline pilot with Pacific Northern Airlines in 1958. Through airline mergers with Western Airlines and Delta, he retired as a 767 Captain in 1991. Joe first visited Sun Valley in 1952 on a ski trip with college friends. He continued to visit Sun Valley during the years he lived and worked in Seattle and Anchorage. Joe was a competitive ski racer throughout his adult life. He participated in many of the original International Airline Ski Races at the Alyeska Ski Resort in the early 1960’s, and was captain of the Pacific Northern Airlines and Western Airlines ski teams. He moved permanently to Sun Valley Idaho in 1972 where he continued to enjoy his many outdoor passions including alpine and cross country skiing, fly fishing, bicycling, backpacking, and wind surfing. He enjoyed the camaraderie in many organizations including USSA Masters Ski Racing, Ancient Skiers, The American Legion, and the Sun Valley Ski Club. Joe is survived by his three children and their spouses; sons Joe Crosson III (Susan) Anchorage AK and Peter Crosson (Shannon) Park City Ut, daughter Kathy Crosson (Stuart Siderman) Sun Valley ID; his grandchildren, Lauren Crosson, Ellen Crosson, Chase Englehart, Claire Siderman, Aiden Crosson, Ian Crosson and Luc Crosson. 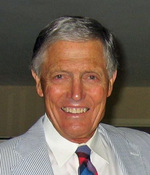 He remained close to his first wife Joan Espe-Grubb, his second wife Catherine Carley and her children Marshal Rawlings and Ashley Anderson (Curtis). He is also survived by his siblings, Dr. Robert Crosson, Don Crosson and Susan Fraser, and numerous nieces and nephews. Services will be held at St. Thomas Episcopal Church, 201 Sun Valley Road, Sun Valley, ID at 2:00 pm Saturday October 13th 2018. A celebration of life will be held immediately following the service.